Home / Modern Pest Blog / Why Is Lyme Disease So Dangerous? Why Is Lyme Disease So Dangerous? In the medical community, a relatively new disease is earning itself the title of “The Great Imitator” due to its difficulty to diagnose and treat. This illness commonly causes symptoms that mimic other conditions such as the flu, Multiple Sclerosis, chronic fatigue, and Fibromyalgia. 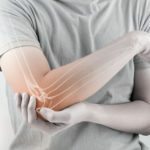 If left untreated it can lead to long-term symptoms that could last for months or even years. In the past few years, the Center for Disease Control (CDC) has seen an explosive increase in the number of confirmed cases, and many experts agree that it could only get worse. 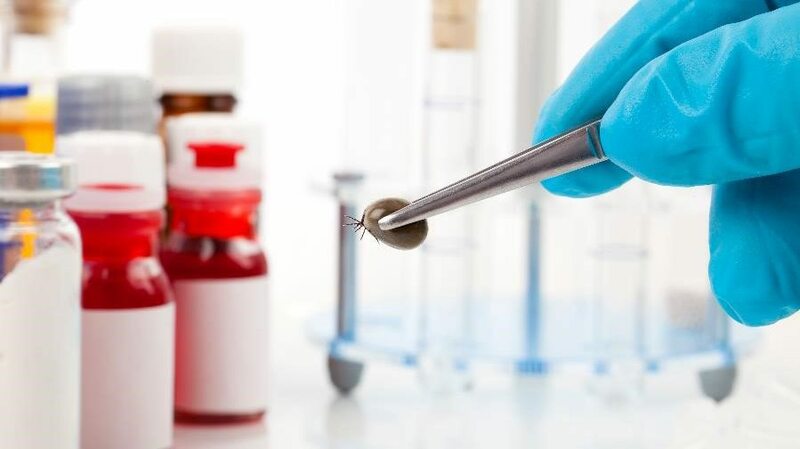 I’m talking about Lyme disease, a bacterial infection transmitted through the bite of an infected black-legged tick (also known as a deer tick). So what exactly are the dangers associated with Lyme disease, and what can you do to help protect yourself? When it comes to Lyme disease, timing is crucial, according to LymeDisease.org. If not correctly diagnosed early, Lyme disease could cause symptoms that linger for months or even years. The medical community is still working to understand this disease and its symptoms, which means a quick diagnosis could be tricky. The symptoms could be attributed to many other illnesses, and the tests are not always accurate. If diagnosed early, Lyme disease treatment consists of a few weeks of antibiotics. If not, it could develop into chronic Lyme (known as Post-Treatment Lyme Disease Symptoms, or PTLDS). The more aware you are of possible Lyme disease symptoms, the better chance you have of a timely and accurate diagnosis. According to the CDC, a tick must be attached to its host for 24-48 hours for Lyme disease to be transmitted. One of the earliest signs of Lyme disease is the trademark “bulls-eye” rash, which occurs on average a week after the bite happened, although it could take as long as 30 days to appear. It’s important to note that this rash is only present up to 70% of the time, and in some cases may be in a difficult to see location. It is possible that you never notice the tick or locate the site of the bite. If you are exhibiting any of these symptoms and have been in an area where a tick bite may have occurred at any time within the past month, it is important to discuss the possibility of Lyme disease with your doctor. Even with treatment, this stage of Lyme disease can result in chronic symptoms that last for years. To help lower your pet’s risk of Lyme disease, talk to your veterinarian about a tick preventative medication. The harsh reality is that Lyme disease is a serious infection that could wreak havoc on someone’s life. But there is some good news. There are a few steps you can take to decrease your likelihood of infection drastically. Take precautions: Basic knowledge of ticks and a few protective measures when outdoors, can go a long way in preventing tick bites in the first place. Often, you may find ticks in the woods and areas of high grass, but you don’t have to be hiking or camping to be at risk – some experts estimate two-thirds of tick bites occur during routine outdoor activities. Peak tick season is the summer between the months of May and September, and ticks are most active at dawn and dusk. Layers: While wearing long sleeves in the summer isn’t appealing, it will add a layer of protection and make it more difficult for a tick to latch onto your skin. You could also purchase clothing with built-in tick repellent. If you are spending an extended period outdoors, using a spray containing permethrin on your clothes and outdoor gear is recommended. Inspect ASAP: After coming in from outside, check yourself (and your pets) thoroughly for ticks. If at all possible, ensure this inspection takes place within 2 hours of having been outdoors. 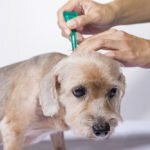 Common tick bite locations include the scalp, back of the neck, inner thighs, waistband, top of socks, and under the arm. A tick is tiny and can bite anywhere, so make sure you inspect yourself carefully. Careful removal: If you locate a tick, remove it with a pair of tweezers or a tick spoon. Be careful not to squeeze its body, and firmly but gently pull or scrape the tick off. Going slowly will help to ensure the head remains intact. Do not attempt to burn the tick off or smother it in salves! Not only could you burn yourself, but these approaches could cause the tick to release infected fluids before removal. If you have a secure place to store it, hang onto the tick in case symptoms develop. This will help identify the type of tick if treatment is needed. After removing the tick, apply antiseptic to the bite area. 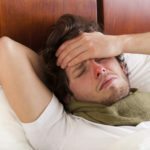 Know the Symptoms: Feeling Flu-ish in July? Before you decide to tough it out with some over-the-counter medicine, talk to your doctor about the possibility of Lyme disease. New England is one of the areas most at risk for Lyme disease, which is why at Modern we offer a specialized Mosquito & Tick treatment program. Our program consists of 5 monthly treatments between May and September and has proven to reduce both tick and mosquito populations effectively. Let us help you take back your yard – give us a call or get a FREE online quote today!